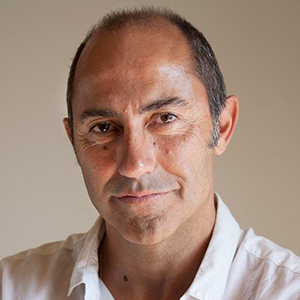 Carles Guerra (Amposta, 1965) is a curator and an art critic. He lives and works in Barcelona. His work investigates the dialogical aspects of visual culture. He is a Contemporary Art professor at the Universitat Pompeu Fabra. He has curated shows such as Art & Language in Practice (1999), After the News. Posmedia Documentary Practices (2003), Situation Cinema. Joaquín Jordá (2006), B Zone: In the margins of Europe (2007), This is not an exhibition (2008) and he is the author of N for Negri (2000). He is a member of the editorial committee of the supplement Cultura/s published by La Vanguardia. He is also a member of the editorial board of the Desacuerdos bulletin. He was appointed Director of the Primavera Fotogràfica de Catalunya in 2004 and is currently a member of the Administration Board of the Institut de Cultura de l’Ajuntament de Barcelona, ICUB.